Our way of keeping you in the loop. You can thank us later. I think QR codes were innovative at first glance, but now… they’re just an eyesore. 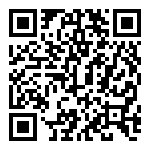 bieMEDIA, an online marketing and media solutions company, is predicting the end of the QR Code. With all those QR scanner apps out there, you’d think that consumers MUST love ’em, right? 57% of consumers who have scanned a QR code say they did nothing with the information, compared to 21% who shared the information with someone and 18% who made a purchase, according to a survey by Chadwick Martin Bailey (CMB). 1. Fan photographs self with Michael Jackson’s Immortal, sends it to mj@pongr.com. 2. Pongr’s image-recognition software identifies album in photo. 3. Fan is entered in contest to see premiere of Cirque du Soleil’s Michael Jackson show. Some brands are stuck in the mindset of this old-fashioned data-sampling model, where they think their customer might be the guy on the panel, because some data company has painstakingly and very expensively created a panel for them. Yet the reality is, there’s 100 million other people out there that they don’t know, that they’re not looking at, and they’re not slicing into that correctly. So get the user to share real information with you, so that you know who they are. (Note: I have no connection to Pongr. I just think that the company is super innovative, and it provides support to my anti-QR code claim).